You may be interested in getting a powerful and reliable lawn mower. Flymo is a name that you can trust when it comes to powerful lawn mowers. Spending money on quality Flymo lawn mowers that are offered by reputable UK retailers is a great deal. 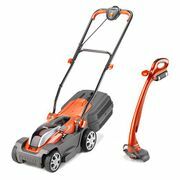 Choose among the different UK retailers on where you can get the best cheap Flymo lawn mower deals and bargains. Get access to awesome Flymo options on amazingly great discounts plus you get to choose from the most reliable online retailers including Amazon, B&M, and Wilko. Find all the best Flymo for sale in the UK! Flymo was invented in 1964 by Karl Dahlman after seeing the Hovercraft machine of Sir Christopher Cockerell. 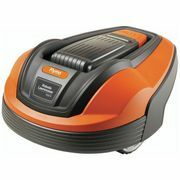 Flymo is a hover machine brand under the Swedish company Husqvarna AB, formerly a part of Electrolux. Basically, the mower is a variation of the conventional petrol powered rotary push lawn mowers that utilise a fan located just above the spinning blades of the mower. This allows the mower to make a hover-like movement. As compared to many other brands out there, Flymo holds a good history when it comes to high quality products combined with innovation and a dependable customer service. As a matter of fact, the company was the first to introduce the hover technology. In the United Kingdom, Flymo already sold over millions of products. This is why it is really popular in the country. Its best feature is making grass cutting easier with. Consumers can use the equipment for small to large gardens. You don’t need to spend a fortune to have a Flymo. There are plenty of Flymo mower for sale available online that you can take advantage of. The best thing about it is that you can find them all here at Latest Deals. Find the lawnmower you need without sacrificing your budget. From cheap Flymo Turbo 400 and Flymo Strimmer to Flymo Micro Lite, Flymo Turbo Lite 330, and Flymo Chevron 32, we have everything you are looking for. Improve the aesthetics of your garden even if you’re on a budget with best budget lawn mowers, grass trimmers, leaf blowers, and more. 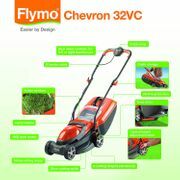 We have all the best price on Flymo lawn mower petrol, electric Flymo, and even parts and accessories. Most online UK retailers have sale events, seasonal clearances, and flash sales where you can save up to 50% off on a wide array of Flymo products. Watch out for their Black Friday, Cyber Monday, and Boxing Day deals where their prices are reduced even further. If you want to maximise your savings, make sure to use the latest Flymo discount codes we have here. We also have Flymo voucher codes where you can get freebies or free shipping. How does a Flymo Hover Mower Work? Synonymous to gardens, you can buy lawn mowers in various sizes and shapes. Regardless, your goal is to use the best lawn mower that will contribute to the quality of your lawn. Furthermore, it should reduce the need for repairs in the future. If you find cutting grass daunting, getting a lawn mower will help reduce effort and time. Flymo has a wide range of lawn mowers that will make a huge difference in your gardening. Just think about a couple of things before you purchase yours. For instance, the size of your garden matters. The storage space is also important. Another major factor is the shape as well. Inspect if your garden is actually a perfect rectangle or an irregular one. Is the ground smooth or bumpy? Hover Lawn Mowers. They are easy to store because they are small. They are ideal for irregularly-shaped lawns and they are already assembled out of the box upon purchase. Wheeled Lawn Mowers. As the name suggests, they have wheels. They are perfect regardless of the size of the garden. They also come with rear roller to get stripes. Robotic Lawn Mowers. This is the answer for portable and lightweight lawn mowers. They have an easily-removable grass box and a long lead too. The grass trimmers of Flymo are lightweight. They are simple to utilise and they can make trimming the edges of your lawn both easy and quick. If you have overgrown areas on your lawn, there is a heavy-duty electric grass trimmer that you can also select. Plus, this comes with a range of cordless grass trimmers that can assist you in keeping your large garden tidy and convenient. Durable. Flymo is aware that gardens are not the same. This is why it offers choices for grass trimmers. They go with innovative features that would enable you to look for a perfect grass trimmer that will address your individual need. Most of its lightweight products are small. They are easy to take care of. They also have heavy-duty models including the Contour 650E that can make your work faster, easier and denser. Convenience. Your large garden deserves freedom of not needing to plug a trimmer to an electrical point. With its cordless grass trimmers, that is not an issue anymore. This will enable you to roam around your garden sans limitations. They also employ batteries with the same voltage so swapping between the two is also possible. Design. These grass trimmers are not only for unruly lawns. Some are assembled with 2 in 1 functions that would allow you to rotate their cutting heads vertically. Yes, this can happen. You just have to click a button. As it transforms to a lawn edger, you can then maximise it to contour your lawn so you can have a tidier finish. Use. As said, the products from Flymo can be used as a garden vacuum or a leaf blower. Gather or collect fallen leaves. The same tool has a multi-range of purpose as blower-vacs. The mentioned will allow you to have Flymo as a leaf blower or a garden vacuum. Change between modes conveniently as well. That will not ask for tools and it can be attained in just a couple of seconds. Benefits. Most of the Flymo garden vacuum shred leaves are collected. Thus, they can help in reducing the volume of leaves, which would give you more collection capacity. Meaning, you do not have to bother emptying the stoppages regularly. Usually, the leaves are broken down in a fine mulch. This is ideal for your compost bin. Further, this can also add to your flower beds so that you can create a layer for frost protection. Check on this as well. Collection. Some may have problems with wet leaves. If you do, you can consider having the Flymo GardenVac 2700. This is the right leaf vacuum for such use. It has a Jet Vac mode that can provide an extra powerful jet of air. That can lift the fallen leaves from the floor even before they are sucked up from the collection.